The Professor of Palliative Care at Lancaster University’s International Observatory on End of Life Care talks about their research exploring the role and benefits of involving volunteers in caring for people towards the end of life. Volunteers are key members of many palliative and end of life care services. Some people, however, can have concerns about what volunteers could and should be involved with towards the end of life. Volunteering isn’t only making tea and running shops – although they are important roles – volunteers increasingly provide care, especially in supporting people at home and in the community. We conducted one of the first trials into volunteer ‘befriending’ or ‘neighbour’ schemes at the end-of-life in the UK. Working with the government’s Social Action Team, then part of the Cabinet Office, we studied volunteer services providing end-of-life care across England, based in the NHS, hospices and other voluntary organisations. We found that volunteers in befriending services had an impact, helping to slow the decline in people’s quality of life. More hours of volunteer input appears to have a greater impact. The full results of the trial are available online. Volunteer befrienders in our study typically visited people at home, and had a number of different roles which we called either ‘doing for’ – such as taking people out, walking pets, collecting prescriptions, signposting benefits – or ‘being with’ – such as companionship, conversation, and emotional support. Providing safe and effective volunteer services requires support and planning. It is important to remember that services are not cost free, and volunteers need appropriate training and support. The NHS and other end-of-life care providers should invest in the unique skills of volunteers, but also draw from good evidence on how to provide care. This is where our volunteer toolkit should help. Deliberately short and user-friendly, it guides people to the best available evidence to support safe volunteer services towards the end of life. It draws from the research we conducted with the National Council for Voluntary Organisations to help people think about important issues such as volunteer roles and boundaries, thinking about how flexible volunteer services could be, and how to measure outcomes. You can download a user friendly evidence based volunteer toolkit. 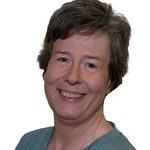 Catherine Walshe is Professor of Palliative Care at the International Observatory on End of Life Care at Lancaster University. Catherine has a background in palliative care nursing, working in the NHS for many years, including haematology at the Royal Cornwall Hospitals NHS Trust, HIV care for Brighton and Sussex University Hospitals NHS Trust, and then a number of community roles in District Nursing in Brighton and Hove, and as a Community Macmillan Nurse in Worcestershire Health and Care NHS Trust. Her research draws from this practice background, exploring ways of providing palliative care more effectively.